Today I’m making Tokyo Amber earrings, which I sold out of last week, and Tokyo Sunrise earrings in silver, for a wholesale order. I thought I’d take a few photos of the process for the curious out there. 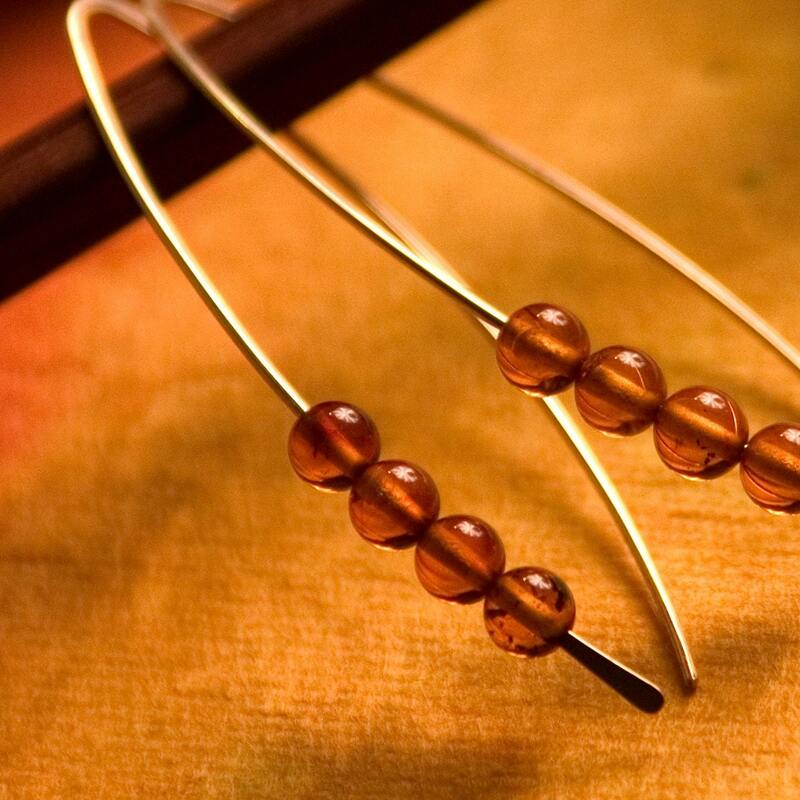 The Tokyo Amber earrings start out as a coil of gold-filled wire and a pile of small amber beads. First I cut the wire from the coil. I straighten the wire out a bit and hand-file the ends until they’re perfectly smooth. Then I hammer out one end until the amber beads sit at the correct height. I work hard to make both earrings in a pair match. I’m pretty picky about my earrings matching. The next step is to carefully bend the earrings to the correct shape, after which I hammer them again from the side to fix the curves and strengthen the earrings. This is particularly important for this design, which is made from a fairly fine gauge of wire. The last step is to correct the curves where necessary (hammering can straighten or curve the earrings a bit). Then I bag them up, and see what else I need to stock up on. Or I take some photos. Or I play with new designs. Or blog. Or maybe I have some chai. Whatever I’m in the mood for. It’s a pretty good life.